On Friday 16th September St Aidan’s pupils and staff came together to show their support for the Mayo team in the All-Ireland Final on Sunday. 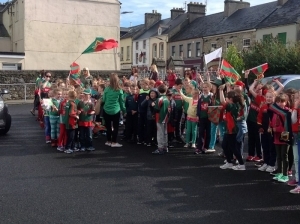 All classes from Senior Infants to 6th Class joined in our walk downtown, waving our mayo flags and practising our Mayo chants! We stopped at St Louis Community School on the way back. Staff and pupils there cheered as we sang ‘The Red and Green of Mayo’! Looks like we’ll have to do it all again in two weeks! 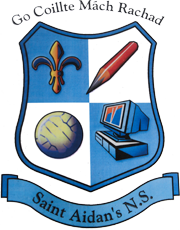 Best of luck to the Mayo team in the All Ireland Final Replay on Saturday 1st October from all at St. Aidans!